The "ALS Juno" suffered an engine failure at the northern entrance of the Canakkale Strait on Jan 9, 2019. The anchor handling tug "Ocean Ergun" was appointed in order to tow the vessel. Towage operation commenced on Jan 12, upon completion of towage approval formalities. The ship arrived in Altinova for repairs on Jan 15 at 6.30 a.m. and left the yard again on March 17 at 8.40 p.m. It dropped anchor in pos. 40° 44.06' N 029° 29.07' E. On March 22 it set sail and arrived in Port Said East on March 25. 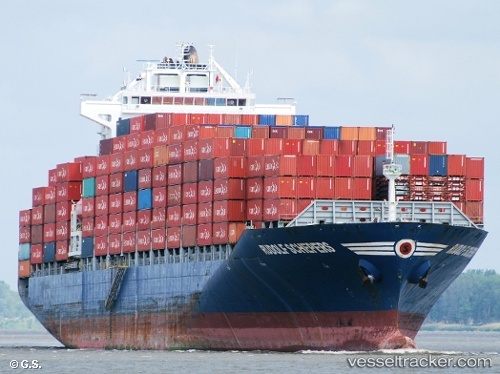 The "Arkas Africa" was boarded by four robbers from a speed boat on the vessel's outboard side shortly after mooring on Apr 13, 2018, at 2.30 a.m. at the port of Lagos, in position 06 26N. After boarding, the robbers were seen by the alert duty crew. Seeing the crew, the robbers fled the vessel and escaped in their boat. Investigations later revealed that a ship's store was found open with a broken padlock and some ship's property had been stolen.